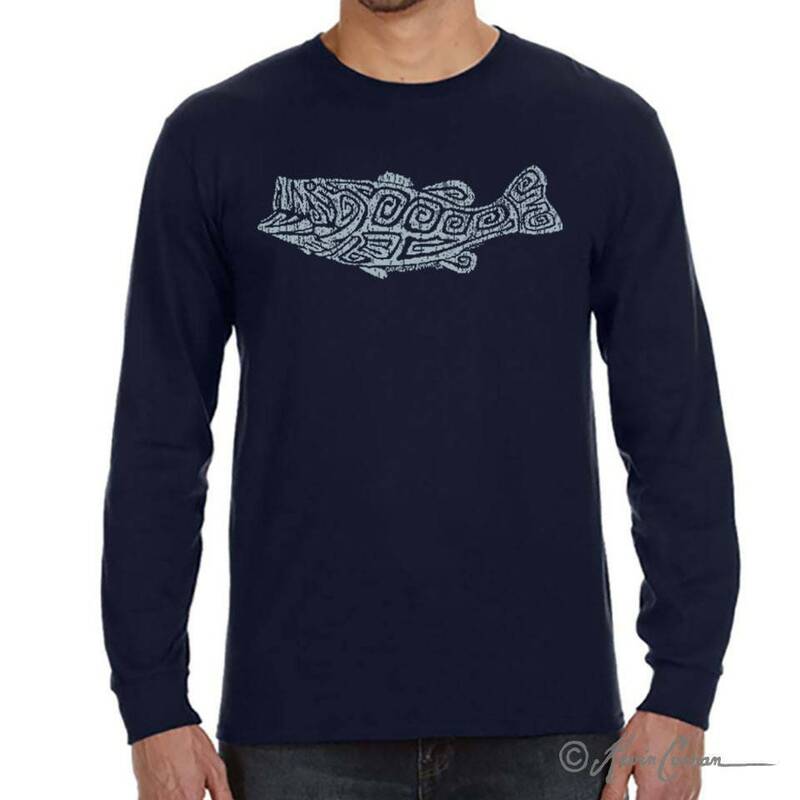 Largemouth Bass Front Shirt Design is hand screen printed on a soft, 5.4 oz, 100% ring spun cotton. I print these shirts in my screen printing shop, which is attached to my art studio. Horizontal Largemouth Bass Design is part of our Primal Line and is Hand Screen Printed on soft ring spun cotton. This shirt makes a great gift for him or her on any occasion, especially St. Patrick's Day, Valentine's, Mother's Day, Father's Day, Christmas, and birthdays.